Shredder Music and Computers... the possibilities are endless. 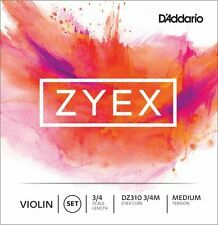 Music: Anything a musician needs with an emphasis on sax... items such as Rico Reeds & Gaurds, D'Addario Strings and more. Computers: Many brands, many parts, etc. Pretty much anything related to computers. Pro-Mark/Promark Small Broomsticks. Adjustable O-Rings for Spread starts at 3/4"
Behaviour Tech Computer (BTC) 5100C Wired PS/2 Keyboard Adjustable Height WORKS! 1 Box of 10 Rico Royal Reeds. Tenor Saxophone. Strength: 3. MPN: RKB1030. NEW! 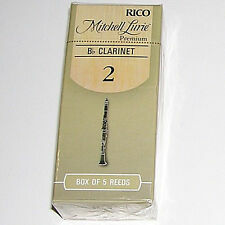 1 Box of 10 Rico Select Jazz Reeds Soprano Sax (RRS10SSX2H) 2-Hard (2H) Unfiled. Flexible Clear Vinyl Tubing. 5 Assorted (.066" to .186") for Oboe, Bassoon, Sax. 1 Box of 10 Rico La Voz Reeds Tenor Sax (Saxophone). Medium (Med). RKC10MD. NEW! 4 Sax Key Mounting Pivot Screws w/ Nuts from 1963 Cleveland H.N. White Co. Alto. 1 Box of 10 DAddario/Rico Select Jazz Reeds Filed. Soprano Sax 2-Soft (2S) NEW! 1 Box of 10 D'Addario/Rico Select Jazz Reeds Filed. Soprano Sax 3-Hard(3H) NEW! Promark by D'Addario (Pro-Mark) Sizzler S22. Sizzle! Fits cymbals 22" or less. 1 Box of 5 Rico Hemke Reeds Alto Sax (Saxophone). Strength: 3. MPN: RHKP5ASX300.